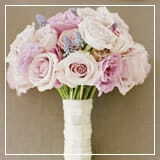 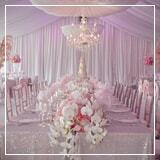 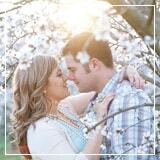 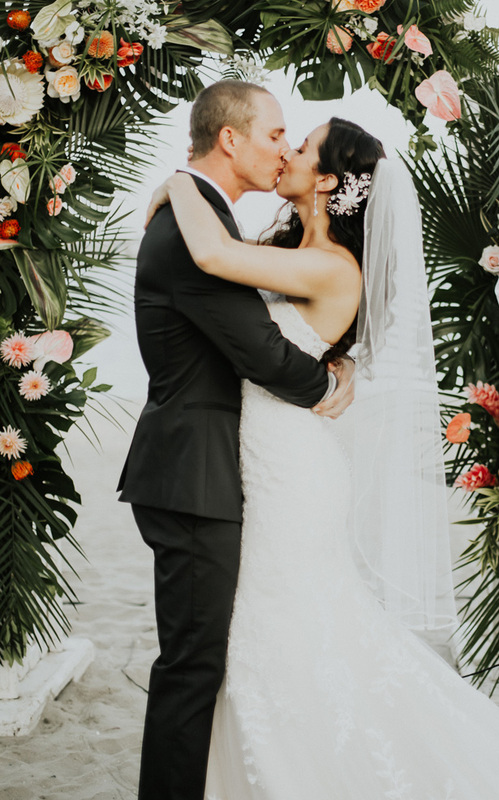 This modern wedding was a true tropical paradise! 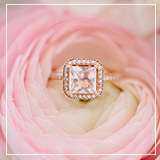 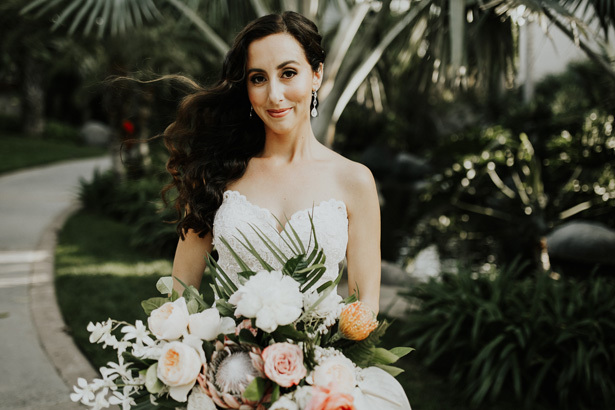 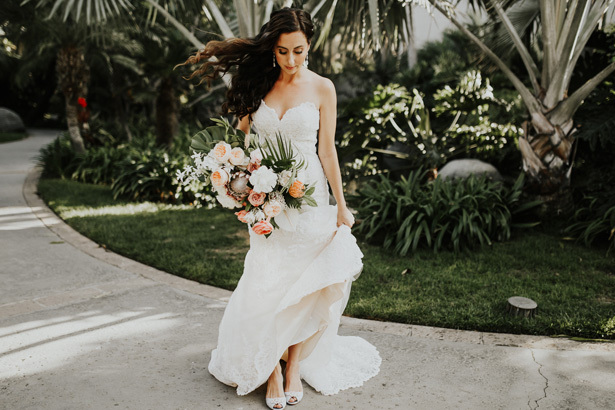 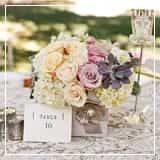 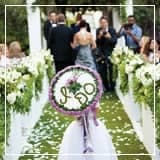 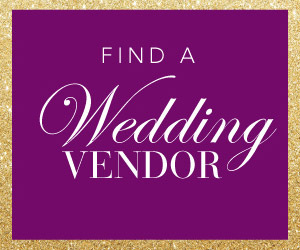 The stunning outdoor backdrop was balanced perfectly with a design full of classic glamour and timeless romance, from the bride’s stunning sleeveless gown (with a jaw-dropping five layers) to the larger-than-life florals from The Dainty Lion. 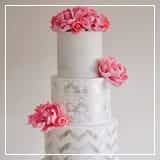 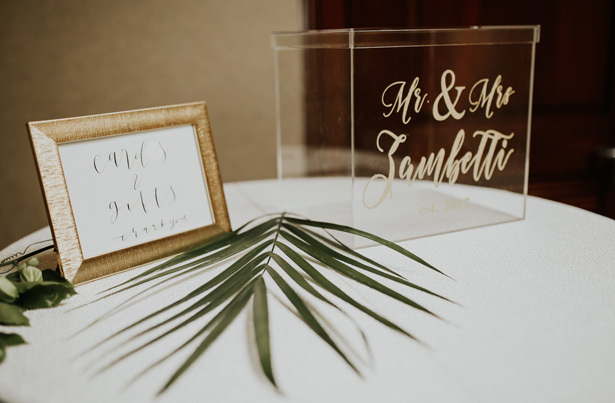 The use of greenery, both in the floral design and as a print, really helped tie things together in such a tropical atmosphere — and the simple cake with hundreds of mini-desserts definitely gave it a fun modern twist. 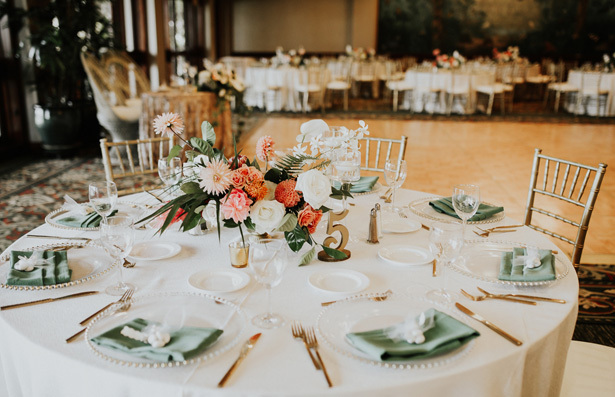 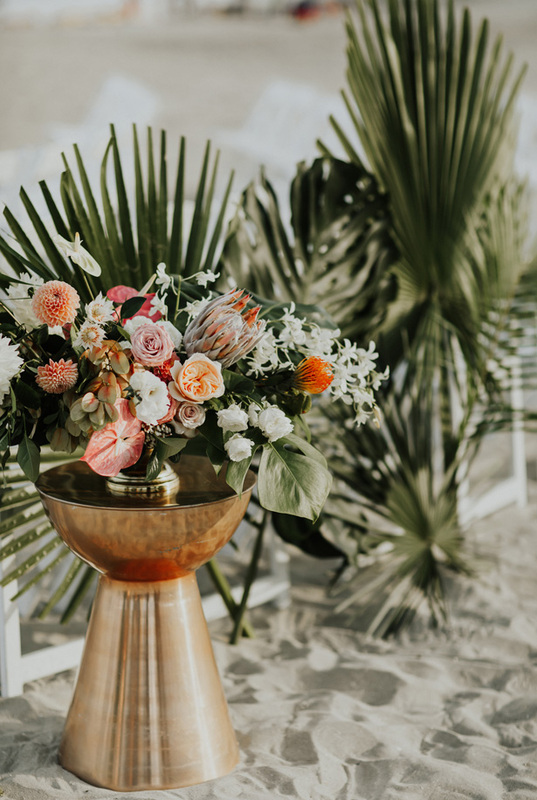 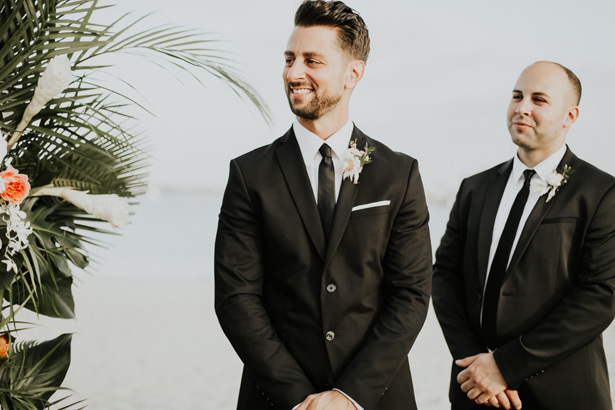 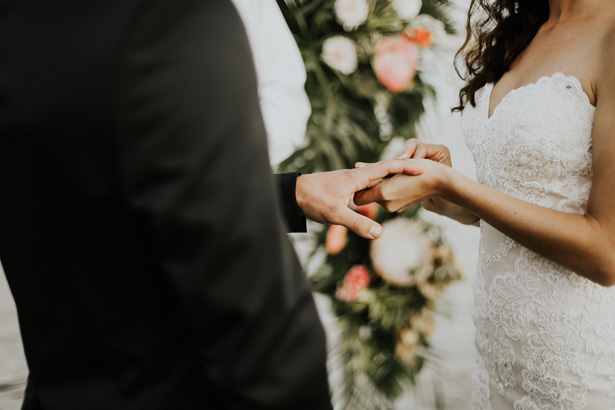 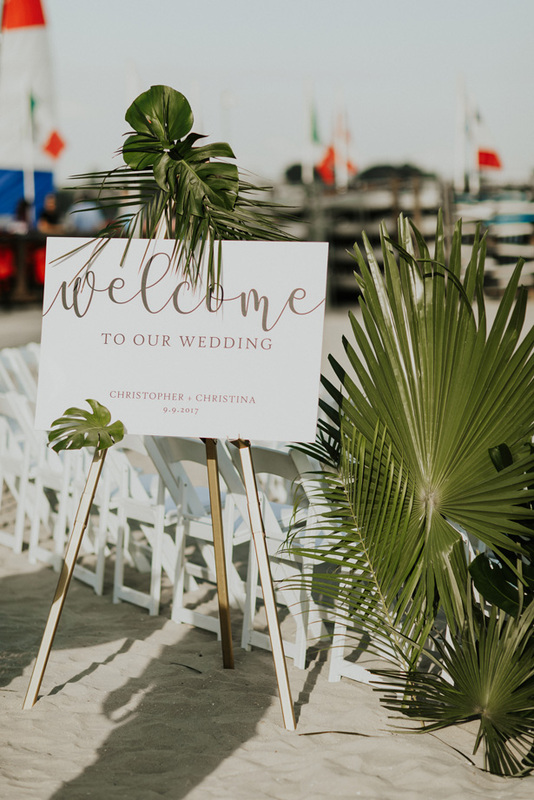 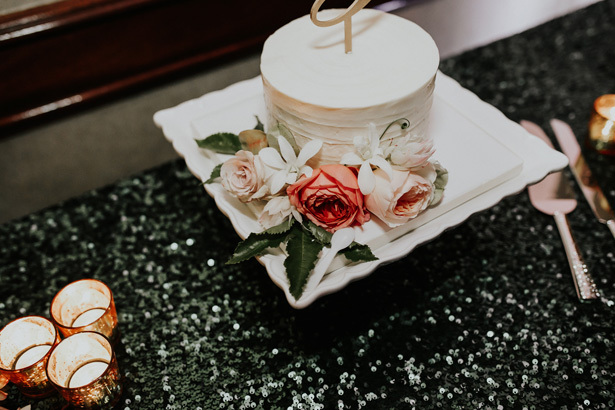 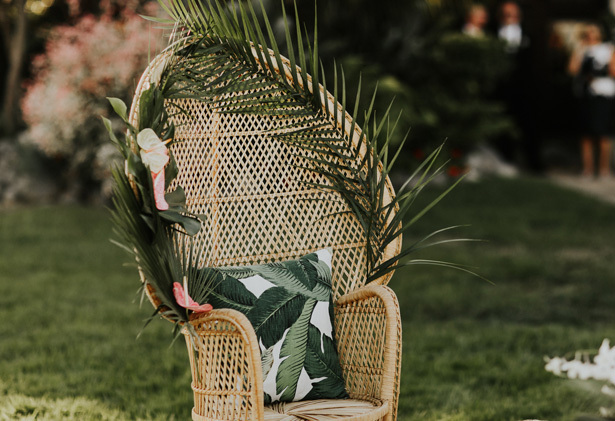 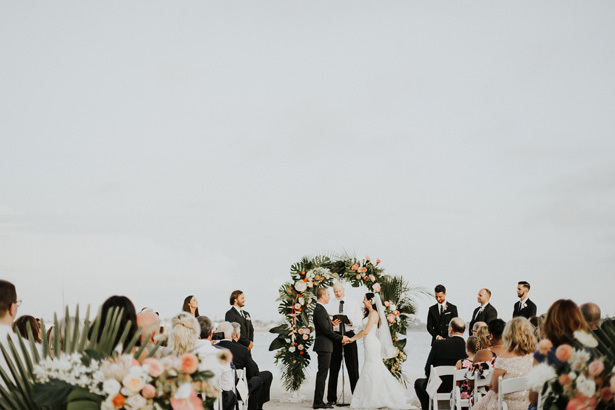 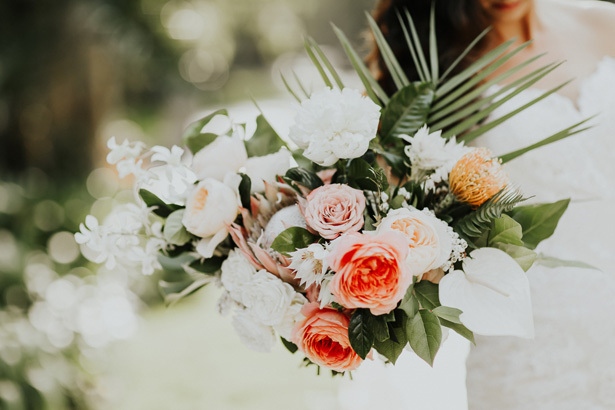 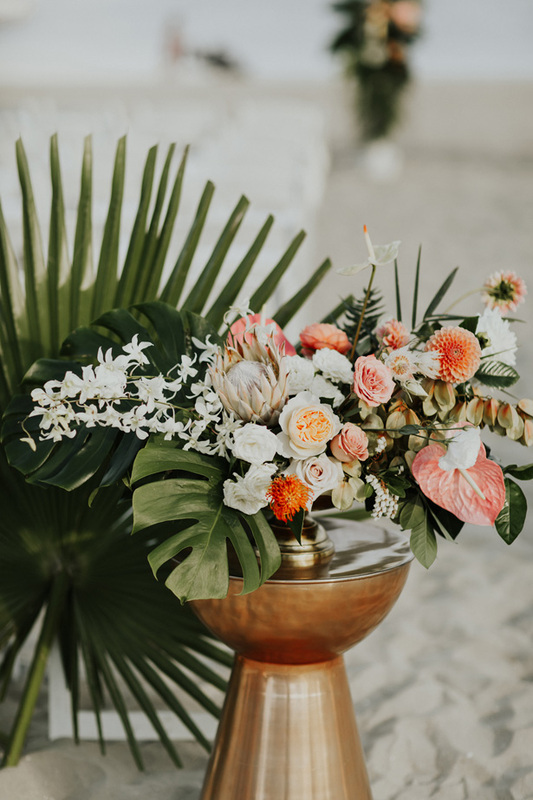 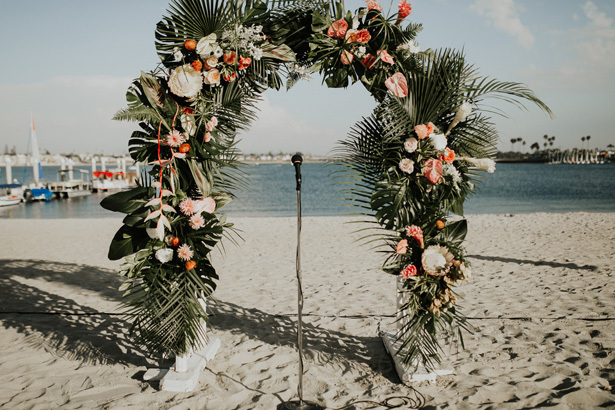 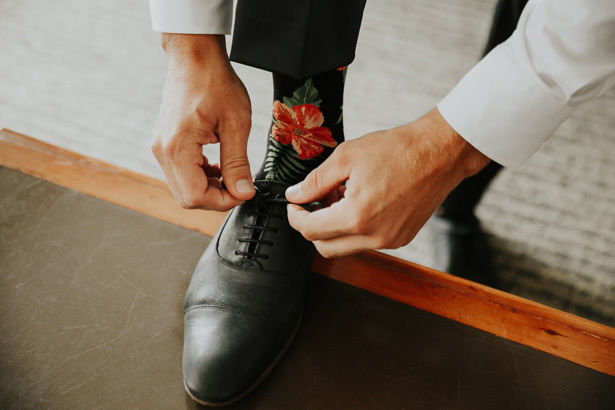 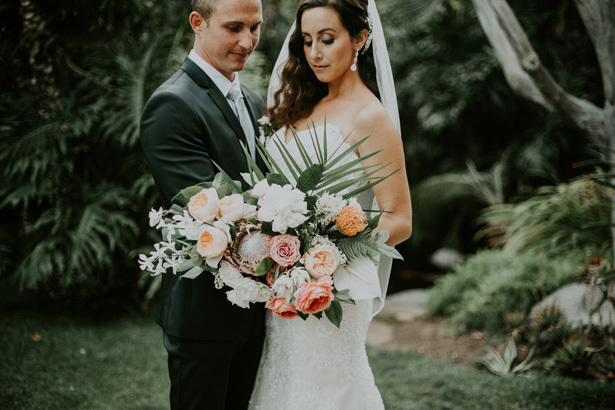 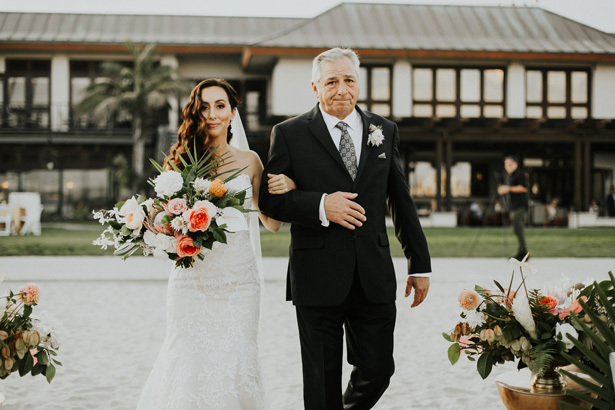 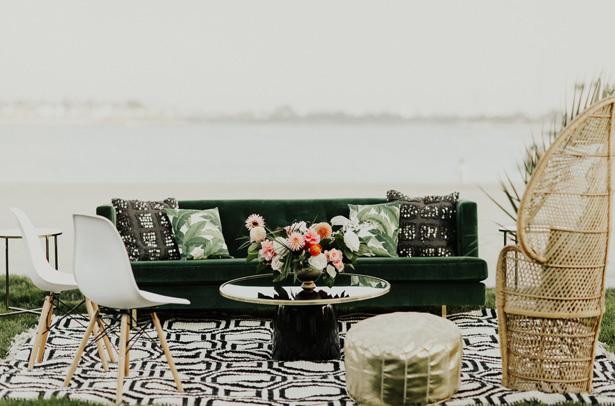 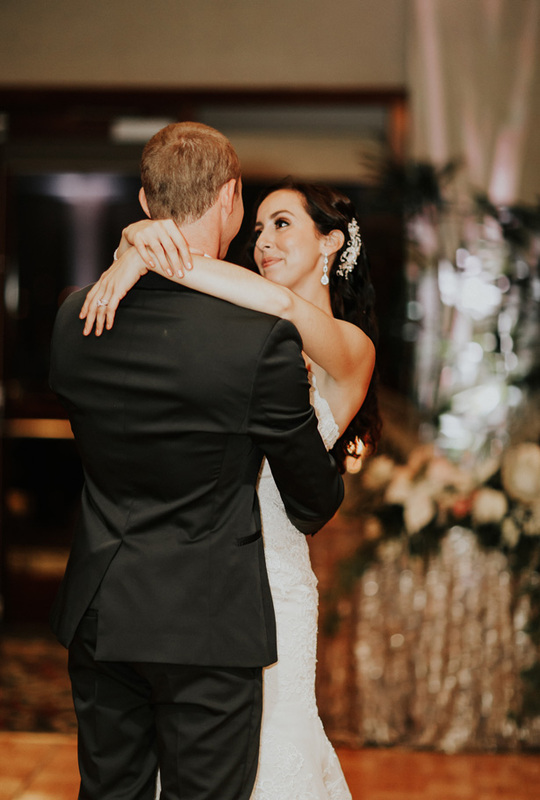 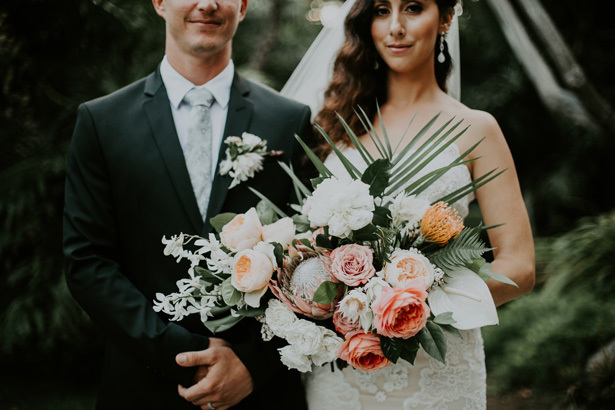 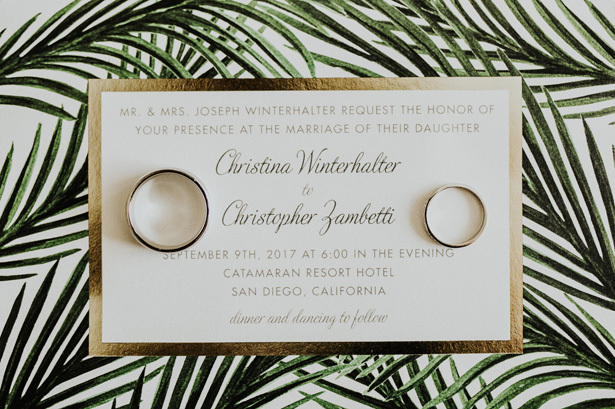 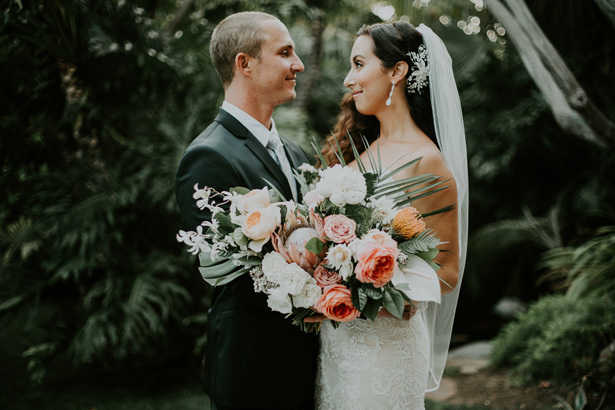 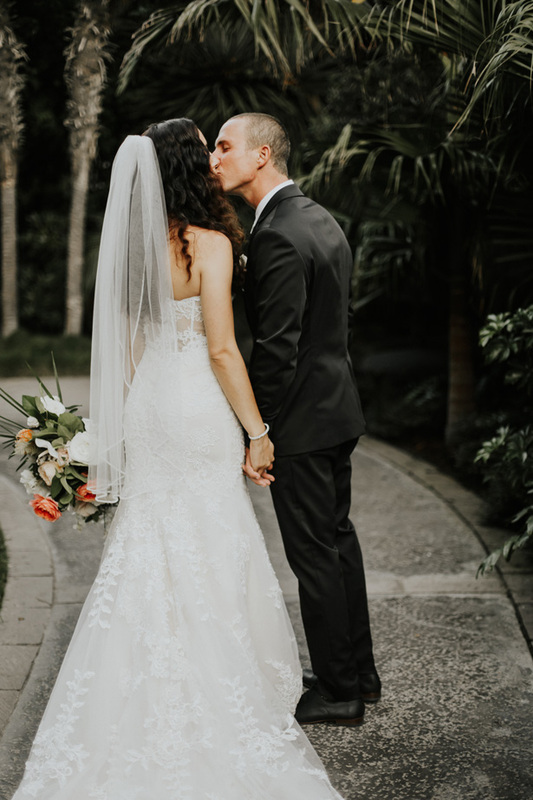 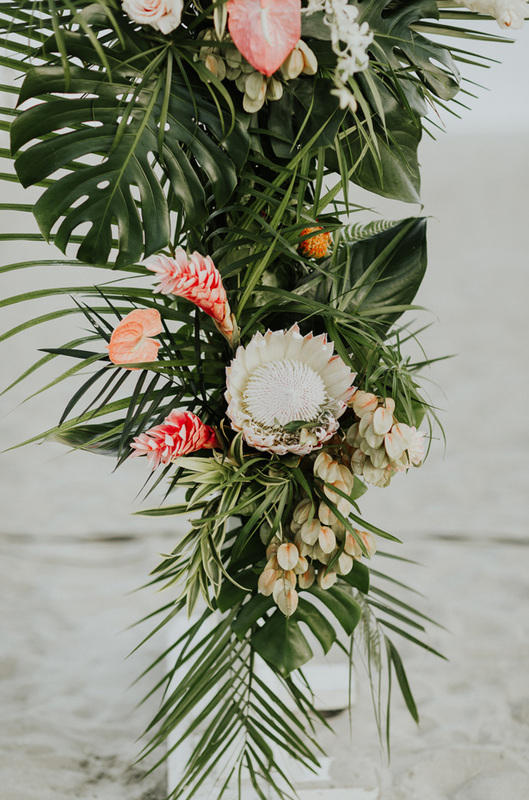 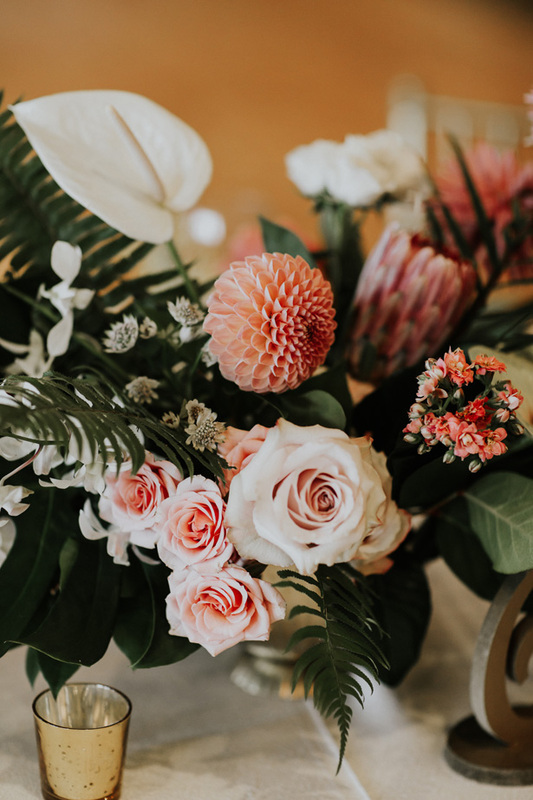 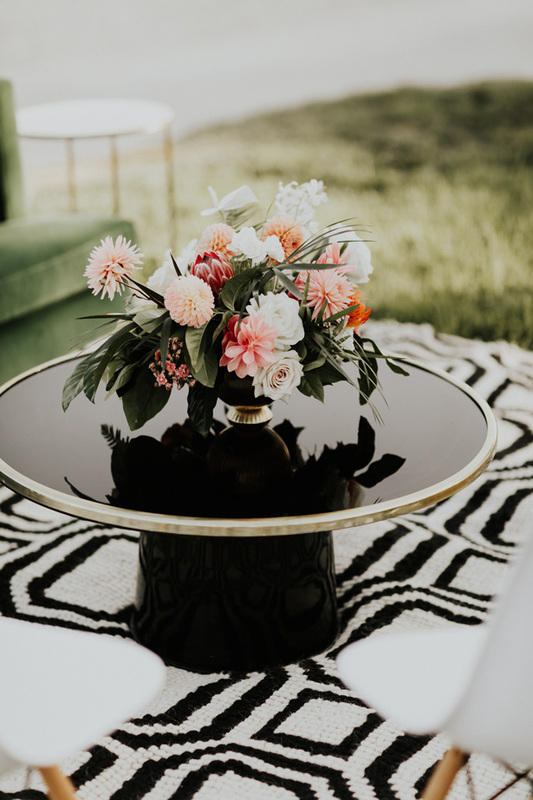 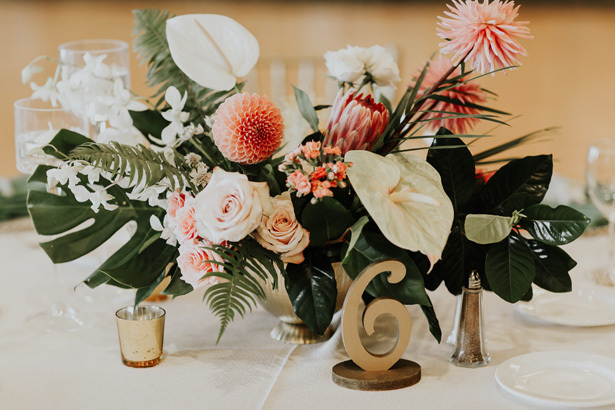 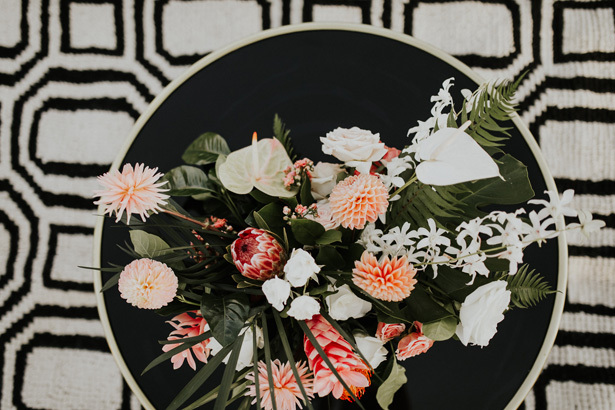 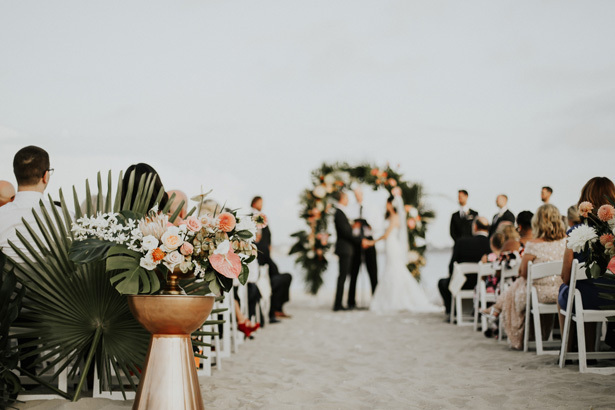 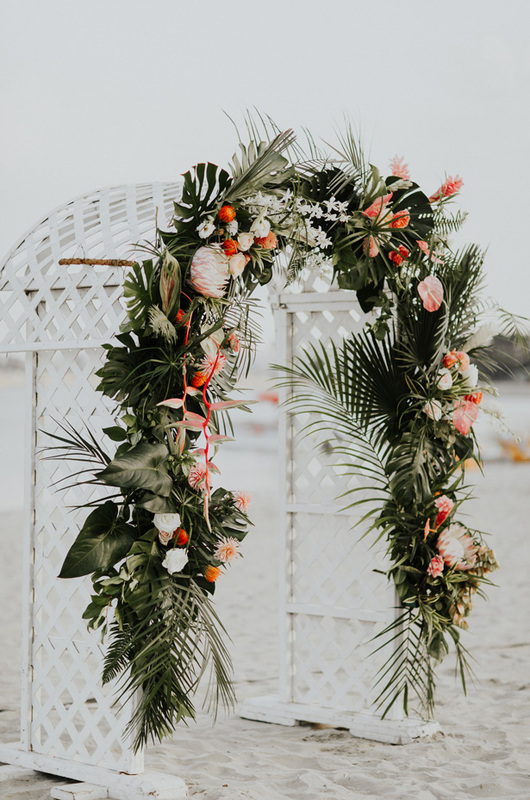 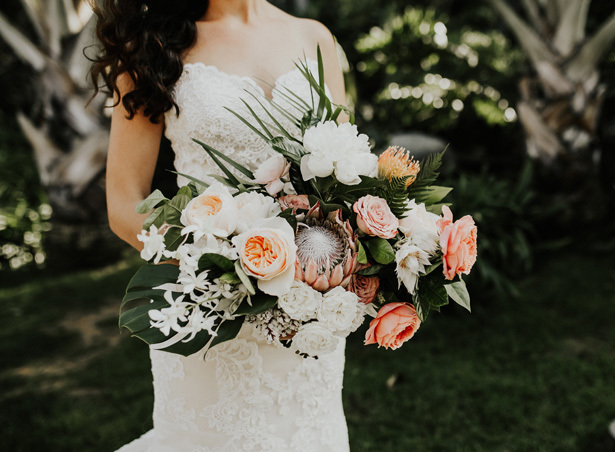 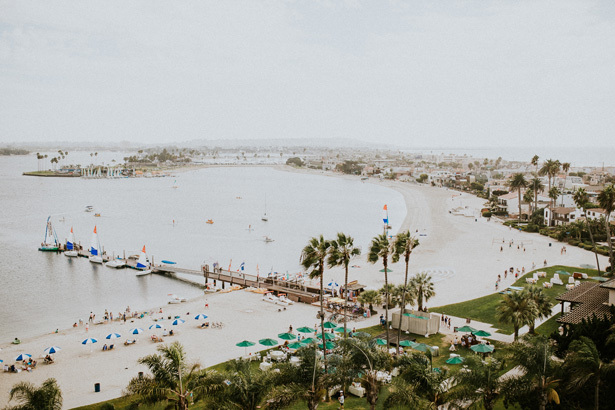 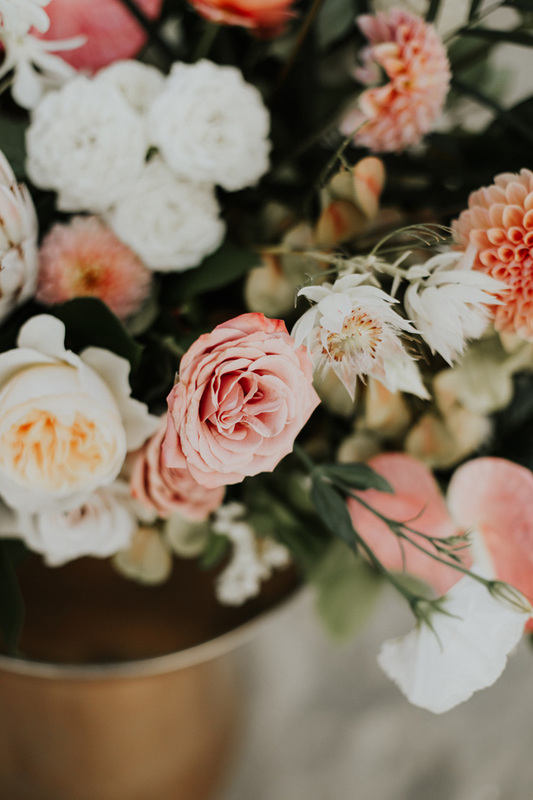 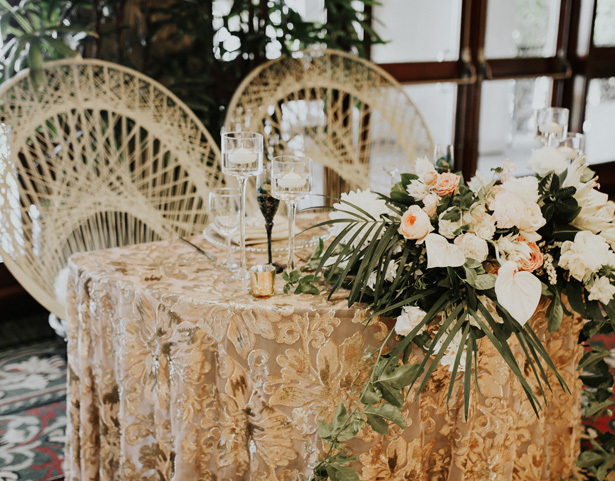 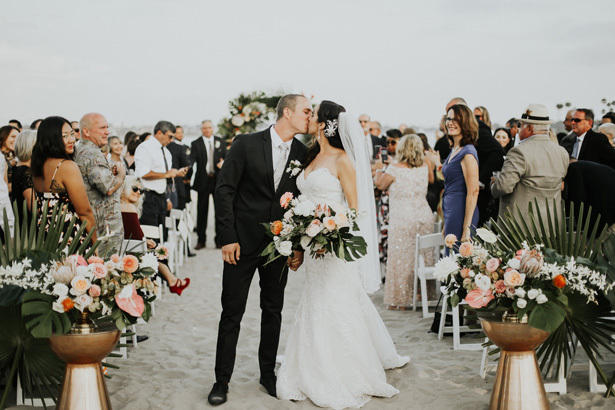 Check out the FULL GALLERY from By Amy Lynn Photography to see how this tropical wedding celebration still delivered timeless sophistication!